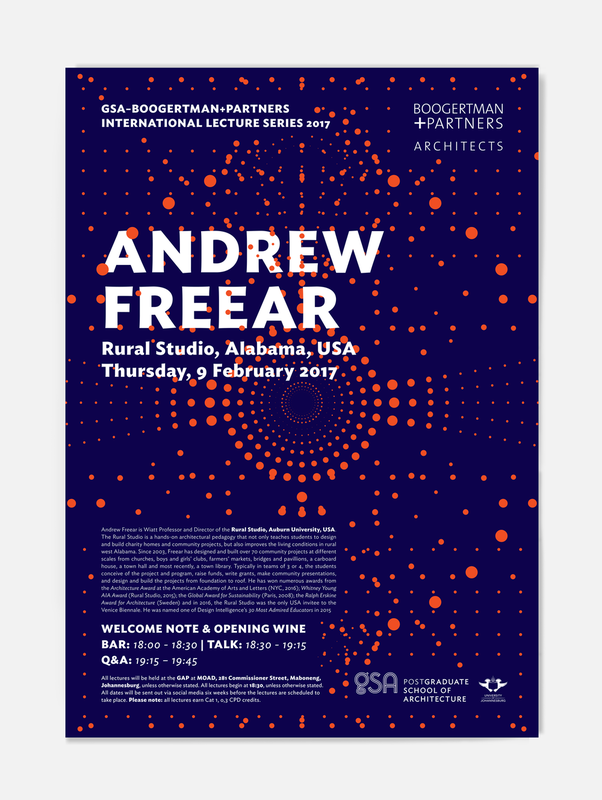 In January 2017 it was time to kick-off the second GSA–Boogertman+Partners International Lecture Series. As always, the look had to support the GSA’s identity. As with the 2016 look, the relationship between destinations, travel routes, conversation and networking was explored, but this time a custom dot graphic was designed. There were over 16 different posters and e-invites designed for this series. Each of these had a unique colour combination which was challenging, but fun.